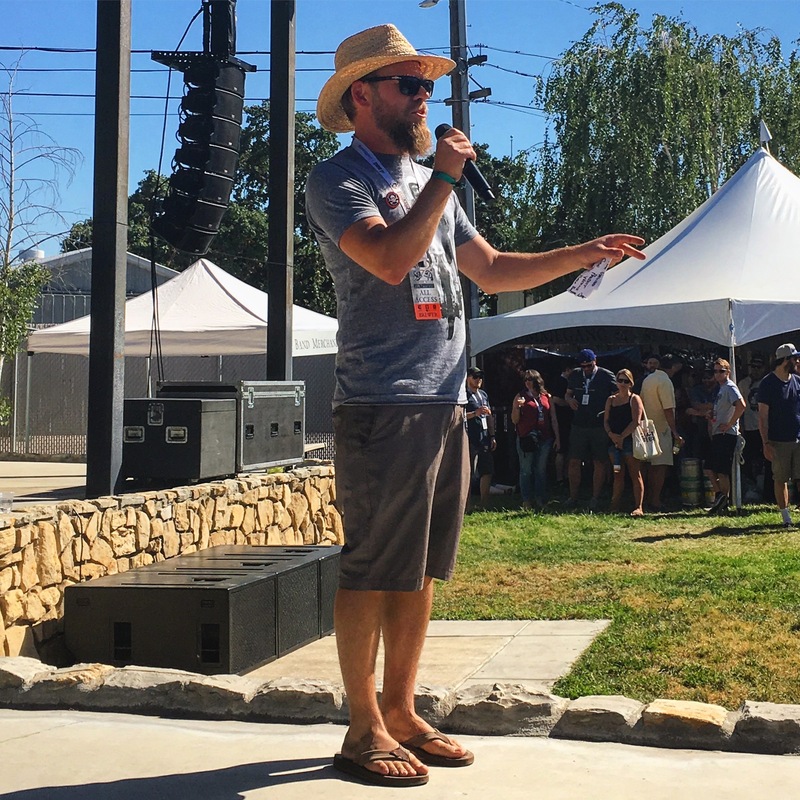 Matt Brynildson set to announce the People’s Choice winners at the 2017 Firestone Walker Invitational Beer Fest. 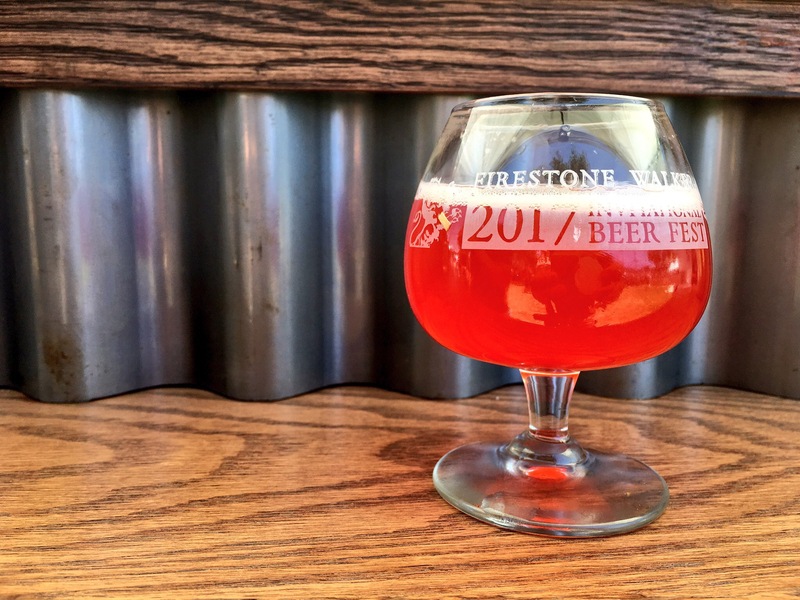 Six years in and once again the Firestone Walker Invitational Beer Fest (FWIBF) has lived up to its reputation as being one of the premier beer festivals around. Hosted by Firestone Walker Brewing, this festival is so popular that this event sells out each year in a matter of minutes. 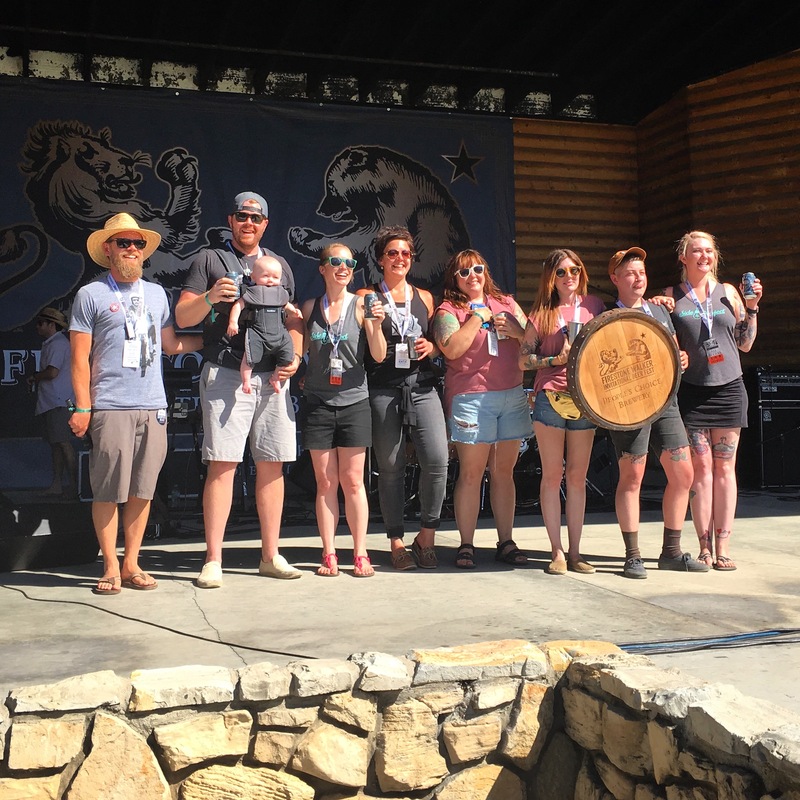 We have been making our way down to the FWIBF each of the festival’s six years and can attest that this is one of the best beer festivals in the country. 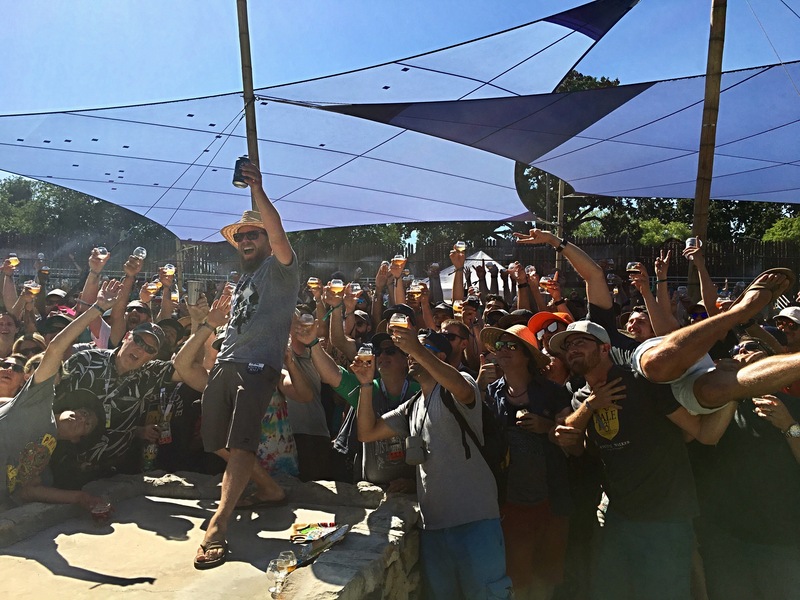 Each year Matt Brynildson, brewmaster at Firestone Walker invites his favorite 50 or so breweries from around to globe to converge upon Paso Robles, California. And each of these breweries brings beers that both beer aficionados and the casual beer drinker will be impressed with. With unlimited 3 oz. pours and food all included in the ticket price the FWIBF is essentially the west coast answer to SAVOR, the annual event held in Washington D.C. So this year our travel itinerary took us once again with a short flight from PDX into San Jose and then on a 2-1/2 hour drive south to Paso Robles, California. It’s a nice, easy drive down Highway 101 that takes you through some sparse populated areas of California’s Central Coast. 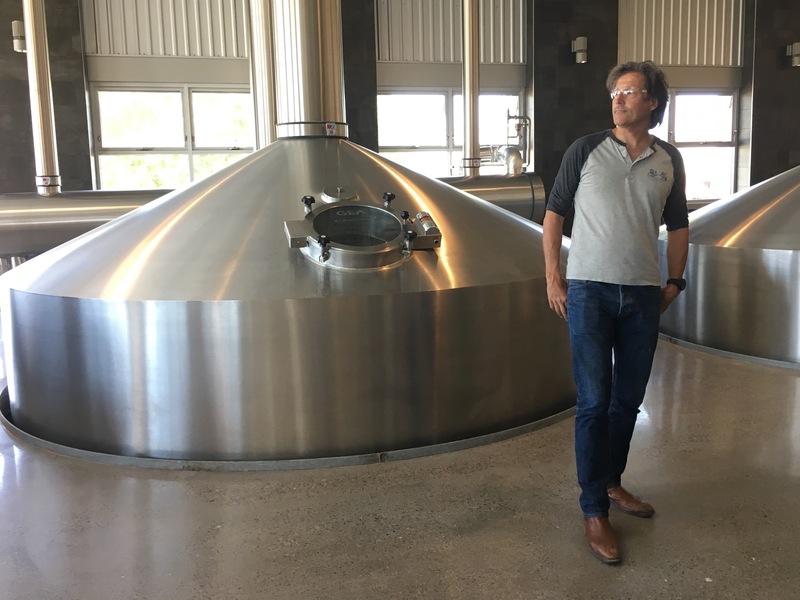 Firestone Walker Co-Founder David Walker guiding us on a tour of the recently expanded brewhouse. 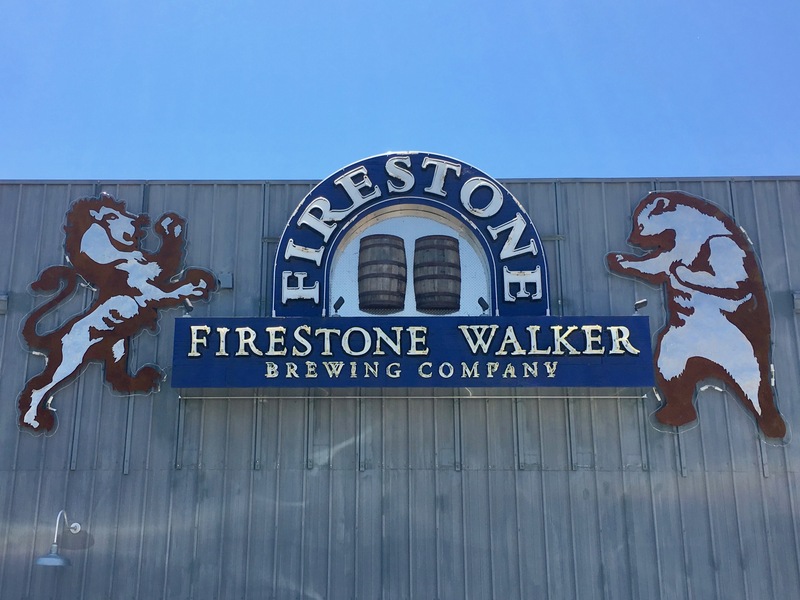 Upon our arrival we were able to tour Firestone Walker’s $15M expansion of its brewery. 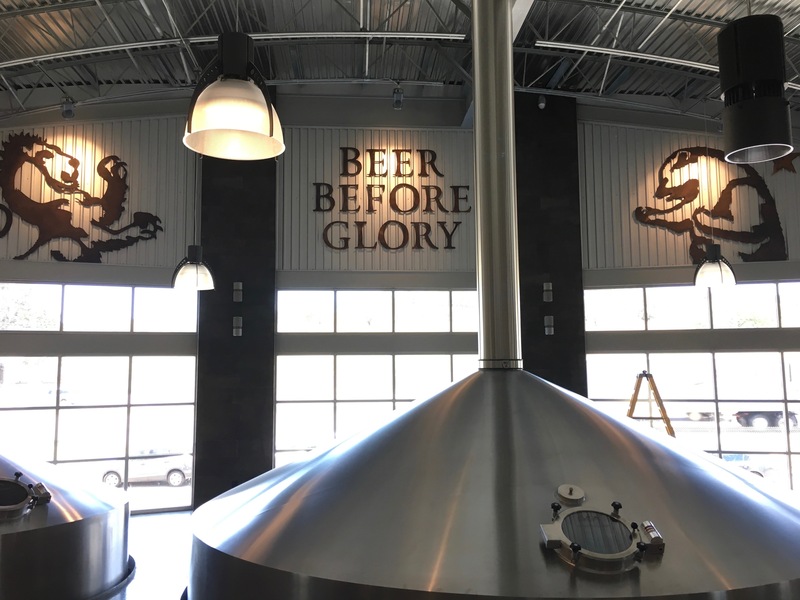 Completed just days prior to our arrival this expansion could not have come any sooner for the brewery. 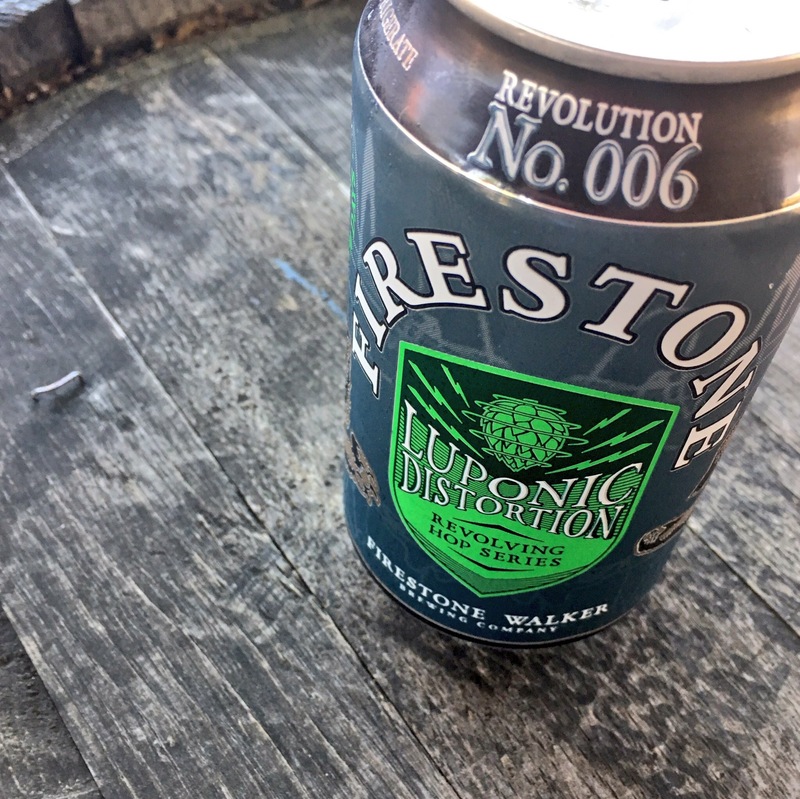 As Firestone Walker co-founder David Walker told us, “We were two years too late on this expansion.” Its sessionable, easy drinker, 805 Blonde Ale is the main reason for its recent production expansion. 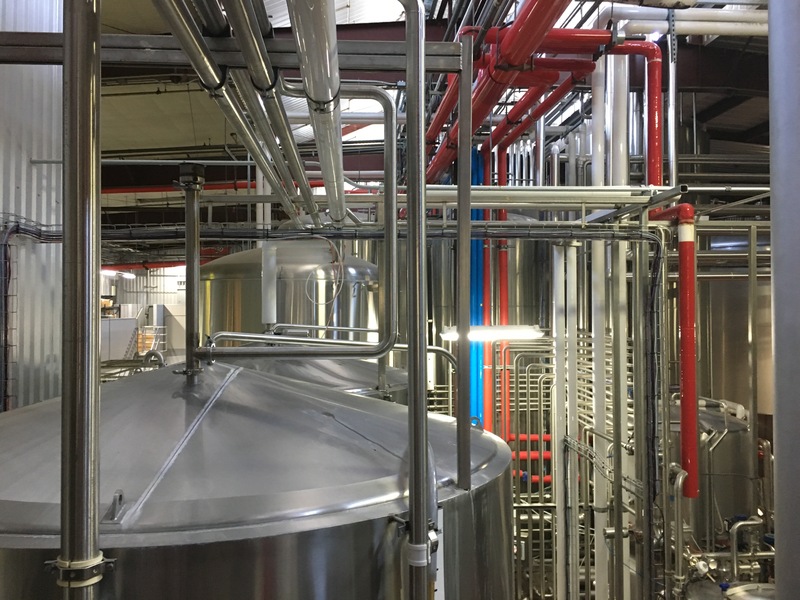 This new expansion saw the installation of a new 250-barrel brewhouse manufactured by Huppmann of Kitzingen, Germany that essentially doubles its former capacity. 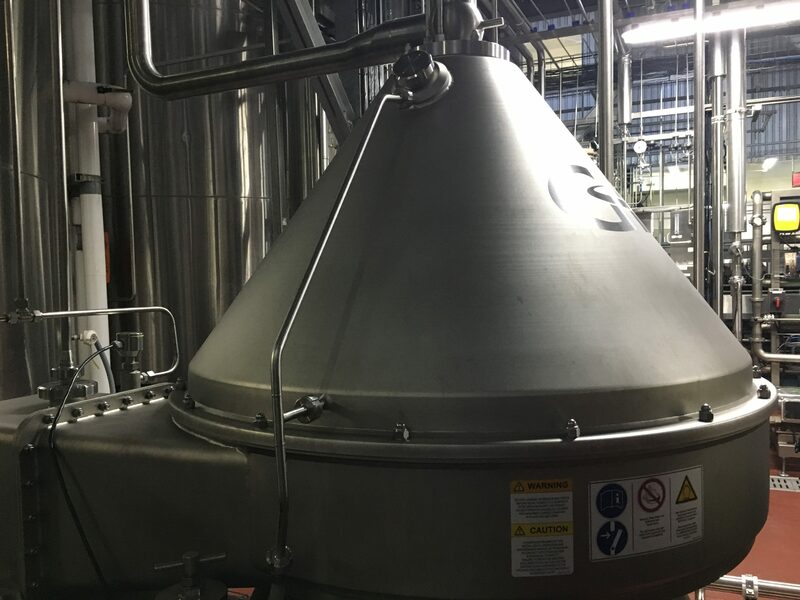 The brewery is now capable of producing up to 600,000 barrels of beer annually. It is also designed to work alongside its two existing brewhouses. 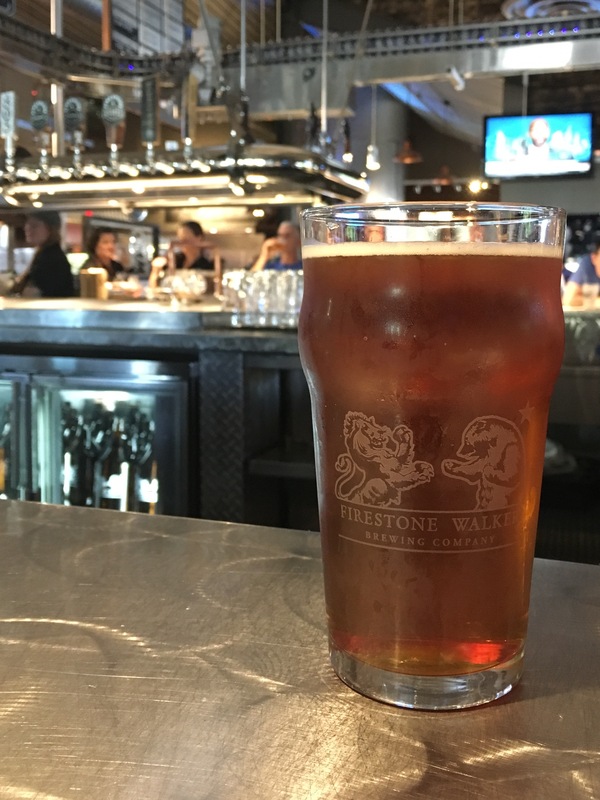 Beer Before Glory is the mantra at Firestone Walker Brewing. Now onto the main reason for making the trek down to Paso Robles, lets discuss the festival itself. 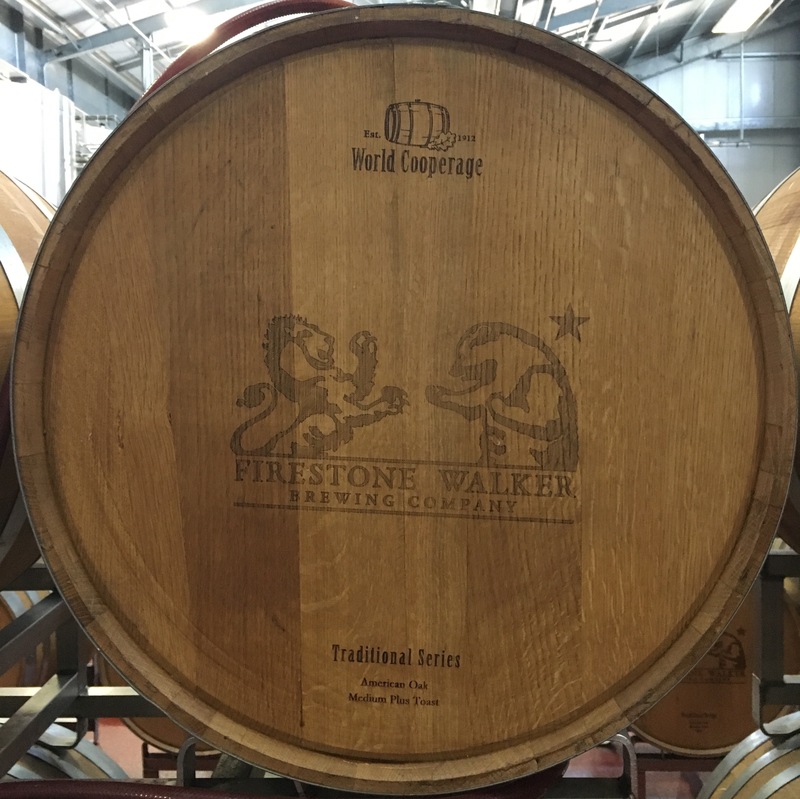 For the past few years of the fest Firestone Walker has collaborated with a different festival brewery each year. Three years ago it was 3 Floyds, two years ago was Birrificio Italiano, and last year was Russian River Brewing. 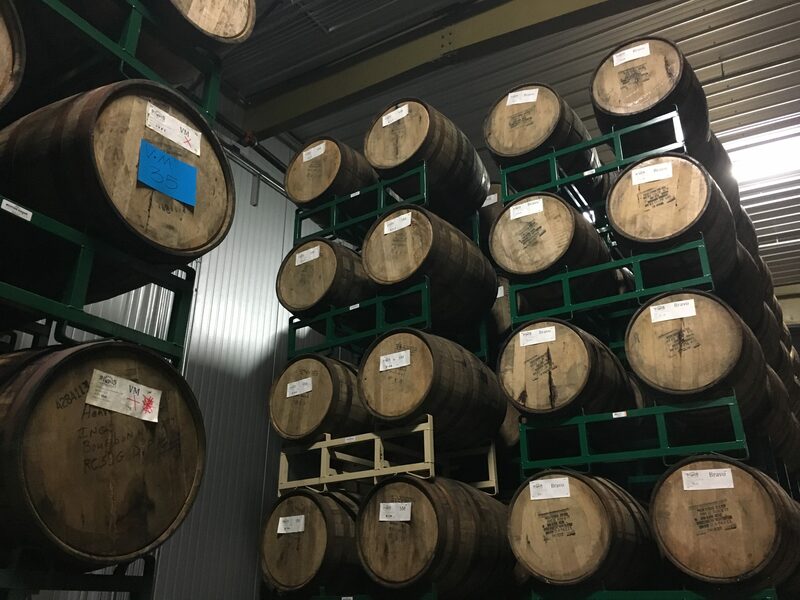 For 2017 Firestone Walker’s Matt Brynildson reached out to Logan Plant of Beavertown Brewery from London, England to collaborate on this year’s FWIBF beer, West Side Beavo. This beer is a hop forward lager and was also canned and will be making its way through Firestone Walker’s distribution network in the coming weeks. The can’s artwork is great just as the beer inside. 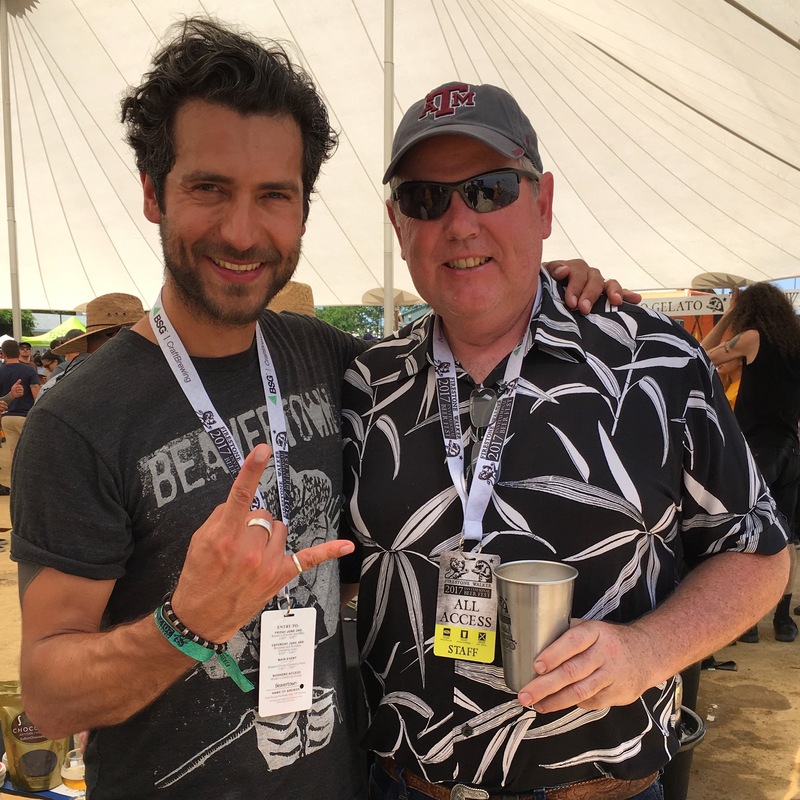 Logan Plant of Beavertown Brewery and Tom Madden one of the founders of the Firestone Walker Invitational Beer Fest. The FWIBF is fundraiser for Pioneer Day and is one of the reasons that this festival takes place every year. “I’m the idiot that went to Matt (Brynildson) and said lets have a beer fest!” recounted Madden. His idea was to host a beer fest that was less “snobby” than the wine fests that have been held in the area. Boy did he succeed with this idea! Beyond the FWIBF collaboration beer there were upwards of 55 breweries pouring its beers, the most ever for this six year festival. And the “Invitational” in the name of the festival is not an afterthought. Firestone’s Brynildson chooses each and every brewery invited to the fest. Some are long time friends of his while others are breweries he admires and would love to host. 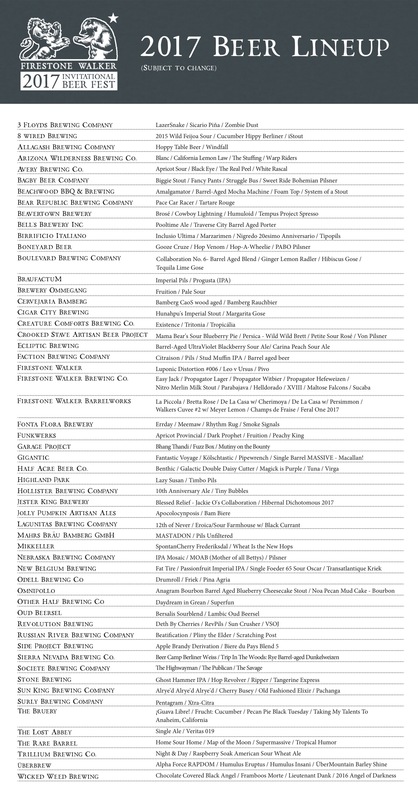 Gaze from the list below to see the caliber of breweries involved. The biggest challenge to day is determining an action plan of all of the breweries and beers to seek out in the 5 hour window (6 hours for those that purchase the VIP Ticket Package). But with a list like this one can do no wrong. 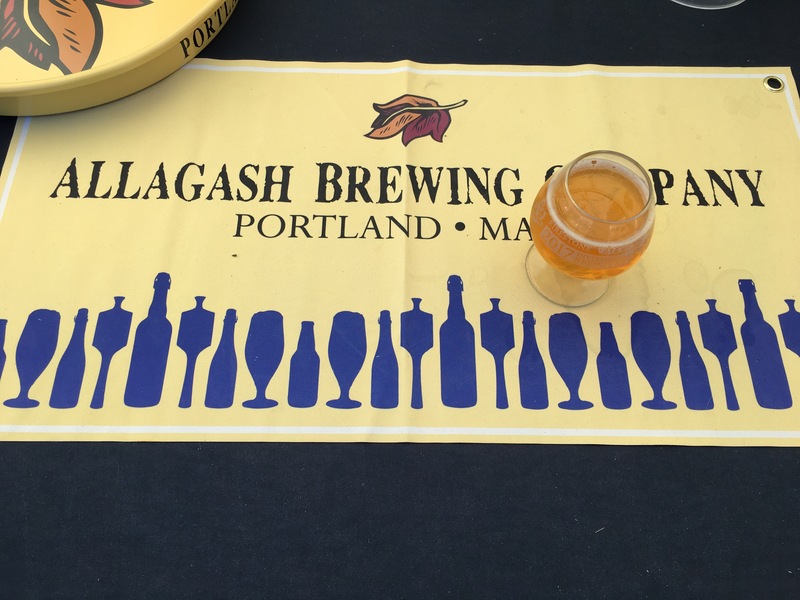 Almost every imaginable beer style was pouring that will satisfy any beer palate around. Some of our highlights this year included the following ten beers in no particular order and somewhat based on memory. Gigantic Brewing – Massive! aged in Macallan! Obviously with so many beers pouring from 55 talented breweries there was not a bad beer to be had. The atmosphere, even in the low 90-degree heat is such a pleasant one. Brewers are the ones usually pouring in the booths and the camaraderie between all of the brewers is very evident as many are behind different brewery’s booths joking and talking during the afternoon. But there is a friendly competition each year when it comes to the festival attendees favorite beer. Each year attendees at the FWIBF vote for the People’s Choice for both brewery and restaurant. 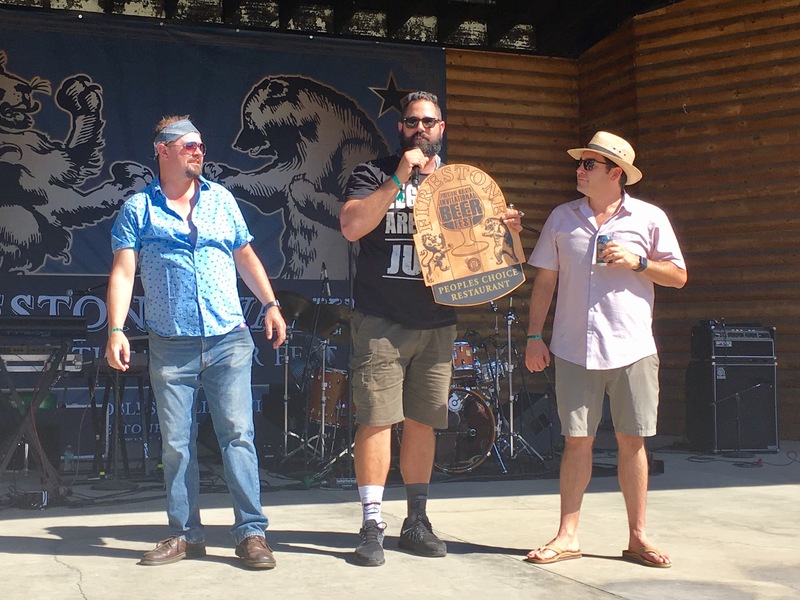 For the 2017 FWIBF looked as if it was still 2016 as both the brewery and restaurant were repeat winners. St. Louis based Side Project Brewing was voted People’s Choice Brewery and local restaurant FishGaucho was voted People’s Choice Restaurant. Side Project truly earned this award, as it seemed to have the most consistent longest lines throughout the afternoon. Matt Brynildson (far left) with Side Project. 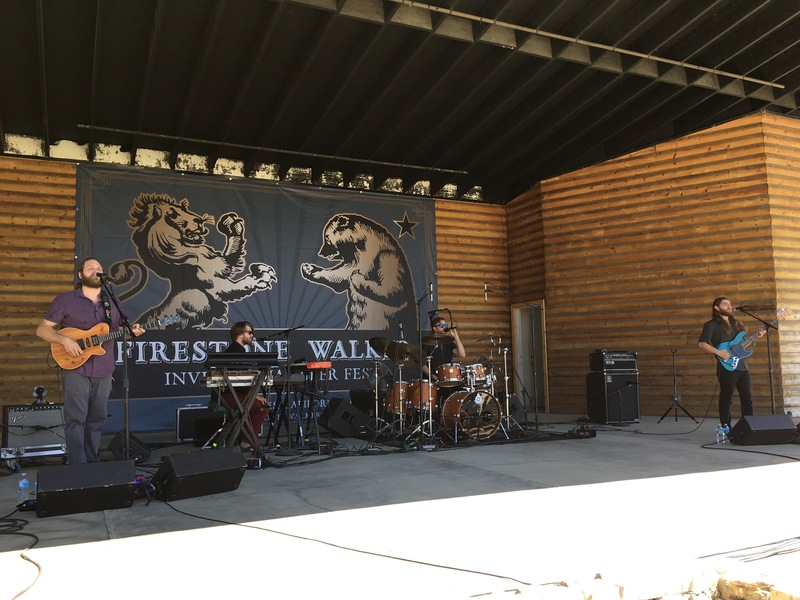 For the 2nd consecutive year Side Project won People’s Choice Brewery at the 2017 Firestone Walker Invitational Beer Fest. FishGaucho wins its 2nd consecutive People’s Choice Restaurant award at the 2017 Firestone Walker Invitational Beer Fest. 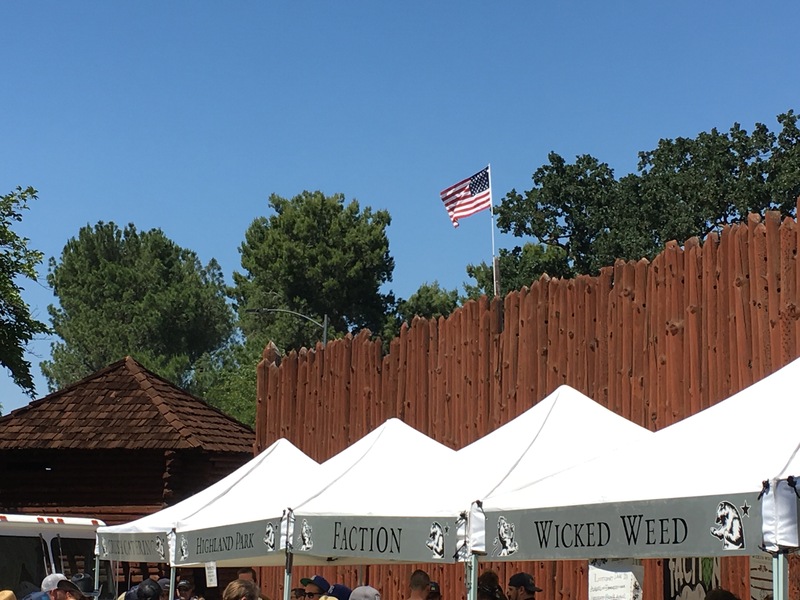 Here’s a photo recap from this year’s festivities at the 2017 Firestone Walker Invitational Beer Fest including our brewery tour. Firestone Walker Brewing Company sign that sits on the southside of the tap room. 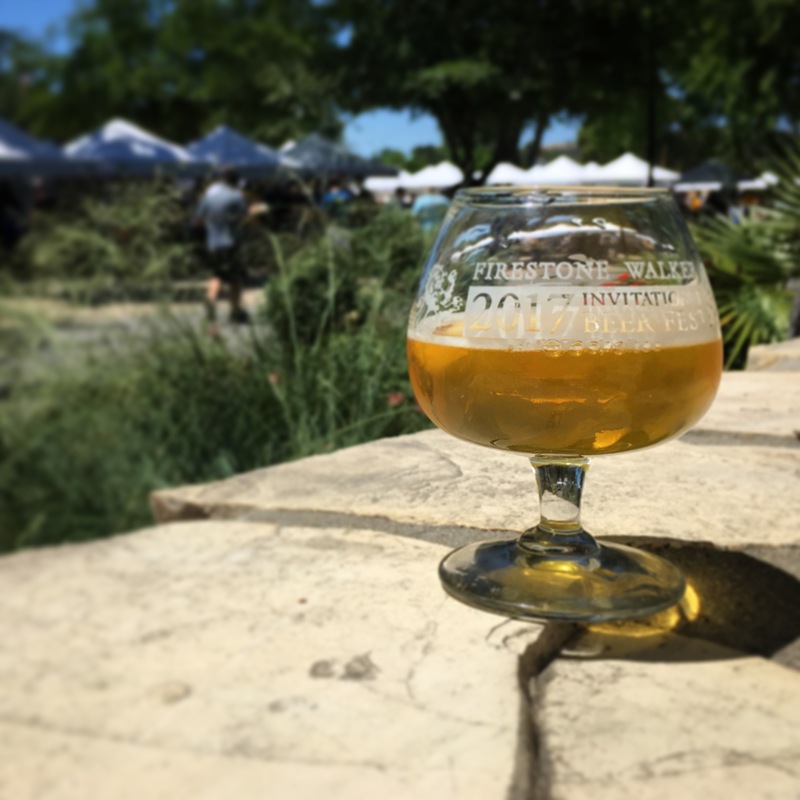 Our first beer upon arriving in Paso Robles for the 2017 Firestone Walker Invitational Beer Fest was a Luponic Distortion No.006. 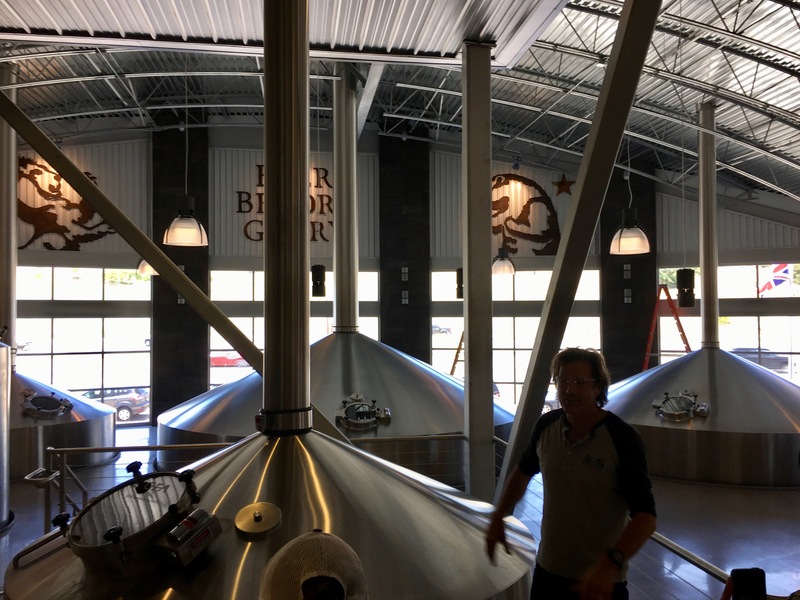 The brewhouse from the previous expansion at Firestone Walker in the foreground and the brewhouse from the latest expansion in the background. Lots of piping in the Firestone Walker brewery. The new centrifuge at Firestone Walker Brewing. 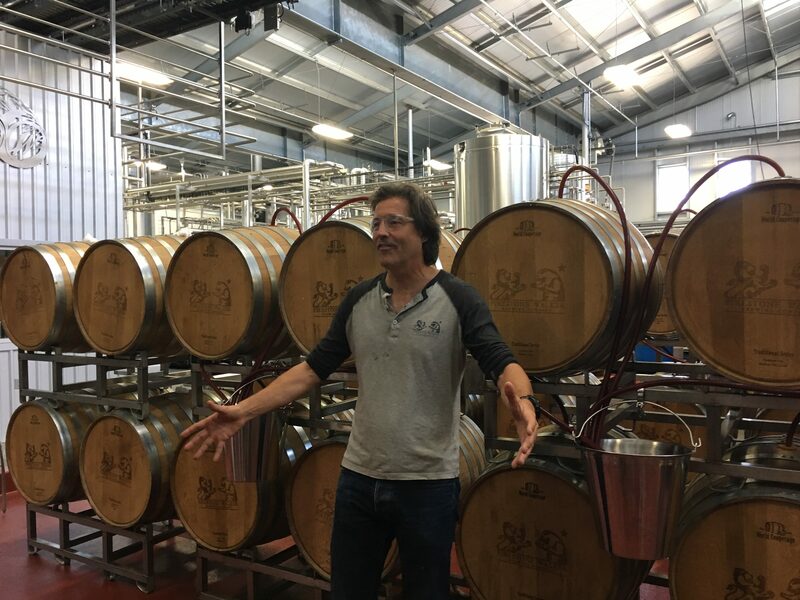 David Walker explaining his love for Firestone Walker’s DBA that is partially fermented in the barrels behind him. 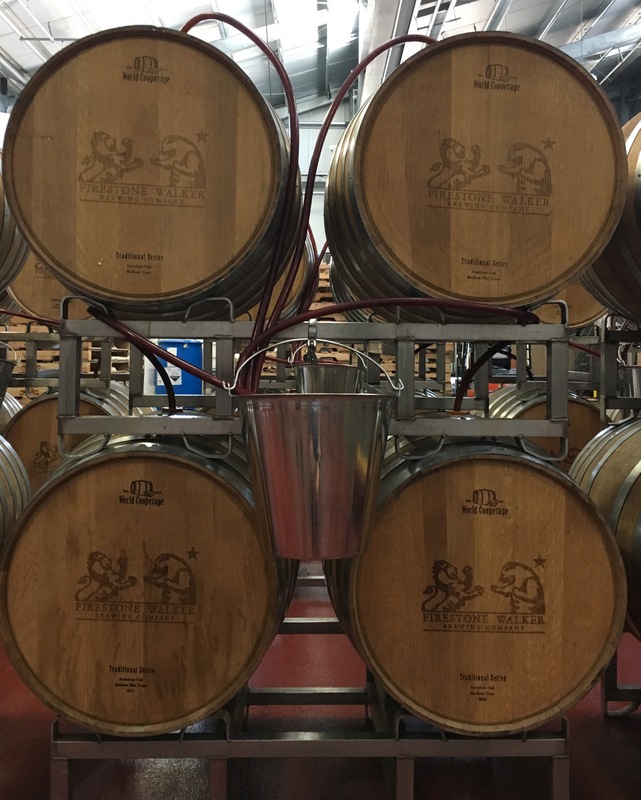 A look at Firestone Walker’s Burton Union System. 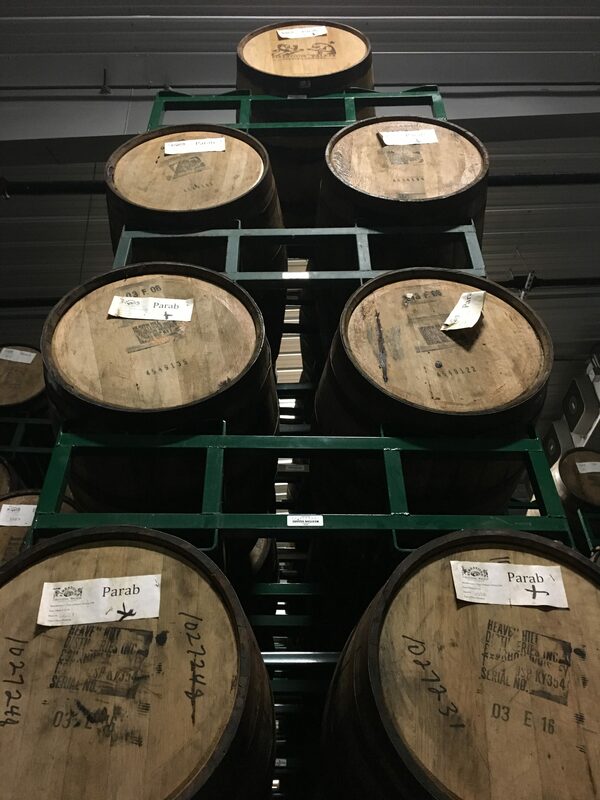 Its DBA spends 20% of its time in these wooden casks. Close up of one of the barrels used in the Firestone Walker Burton Union System. The Firestone Walker Burton Union System where its DBA spends time in both wood and in stainless steel. The racks of barrels is quite massive at Firestone Walker. 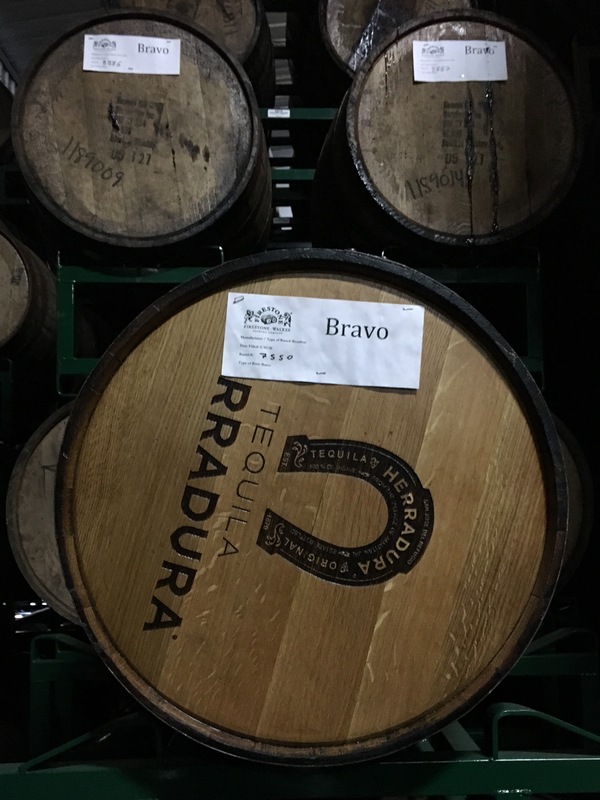 A tequila barrel that Firestone Walker Bravo is aging in Paso Robles. 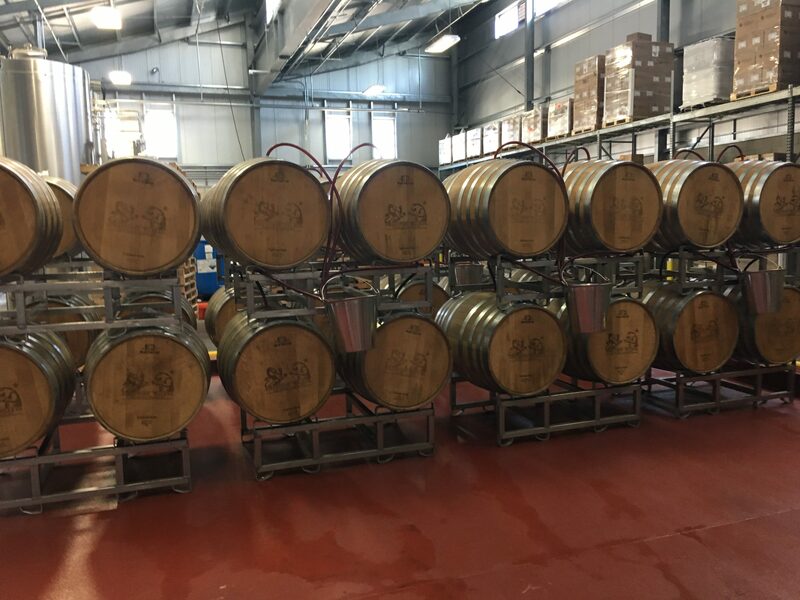 Barrels of Firestone Walker Parabola in its temperature controlled barrel room in Paso Robles, California. 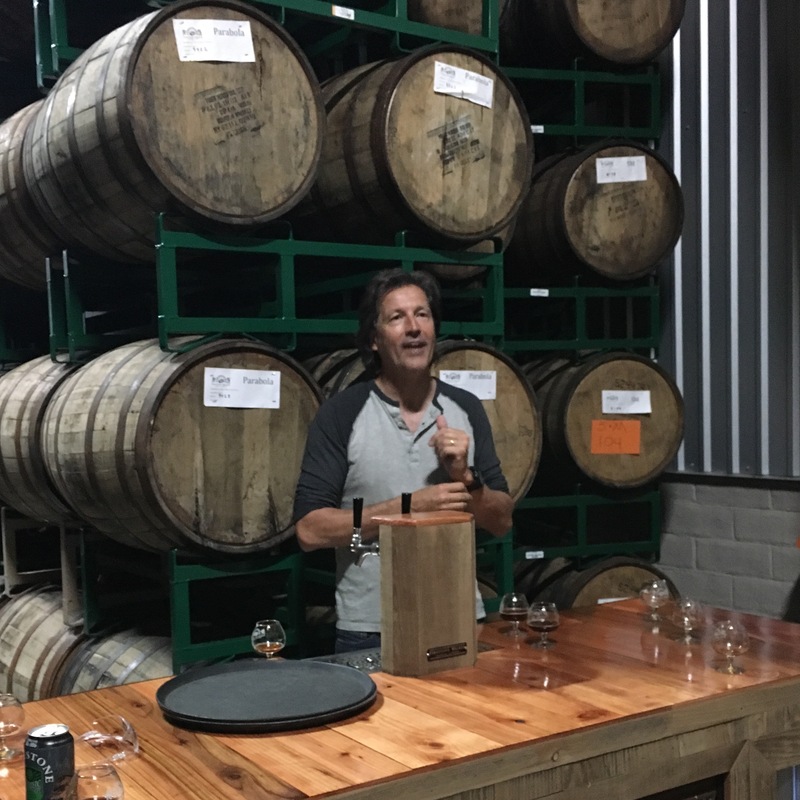 David Walker pouring samples inside Firestone Walker’s barrel room. Oh how it would be great to capture the aromas from this room! 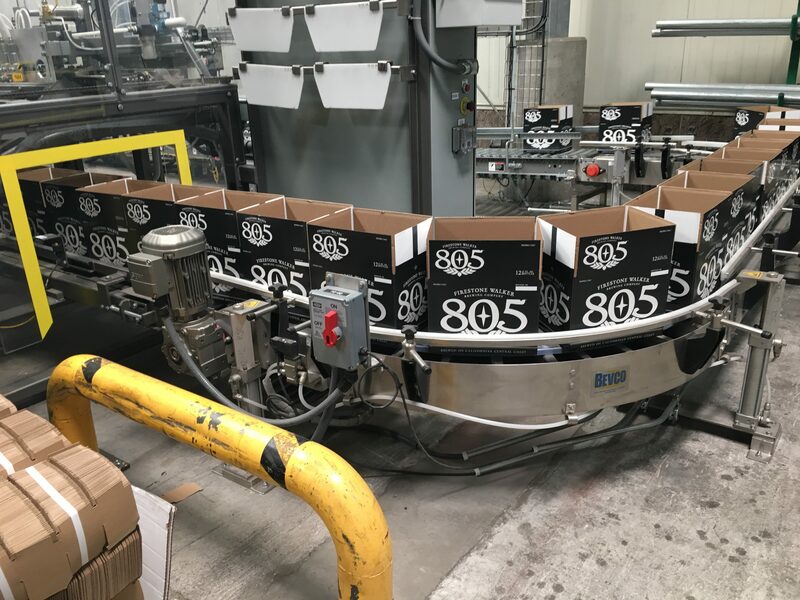 Empty boxes of 805 Blonde Ale waiting to be filled at Firestone Walker. 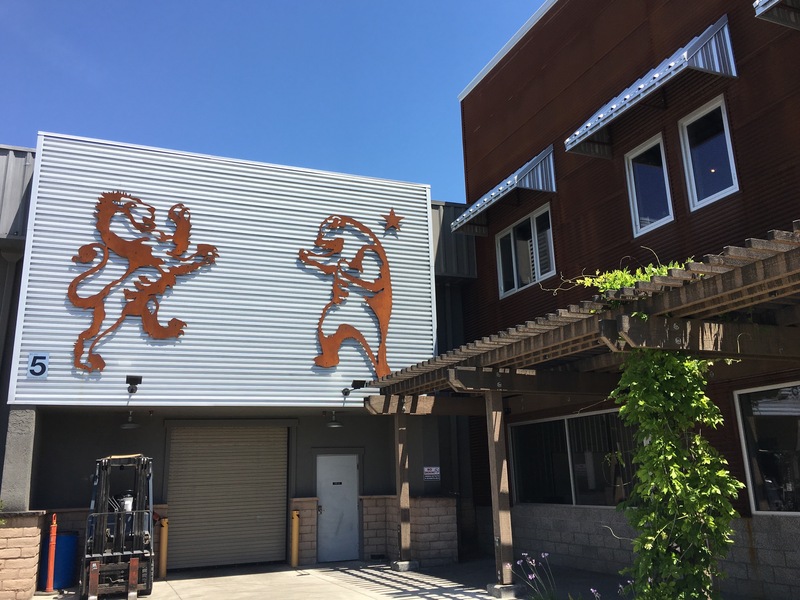 The Lion and the Bear is seen throughout the Firestone Walker brewery. Enjoying a pint of Unfiltered DBA after the Firestone Walker brewery tour. 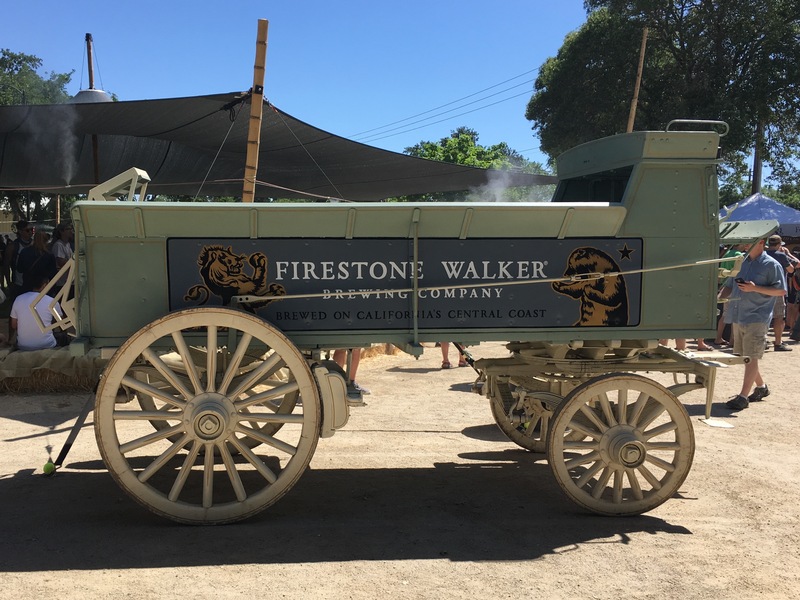 A stagecoach at the 2017 Firestone Walker Invitational Beer Fest. 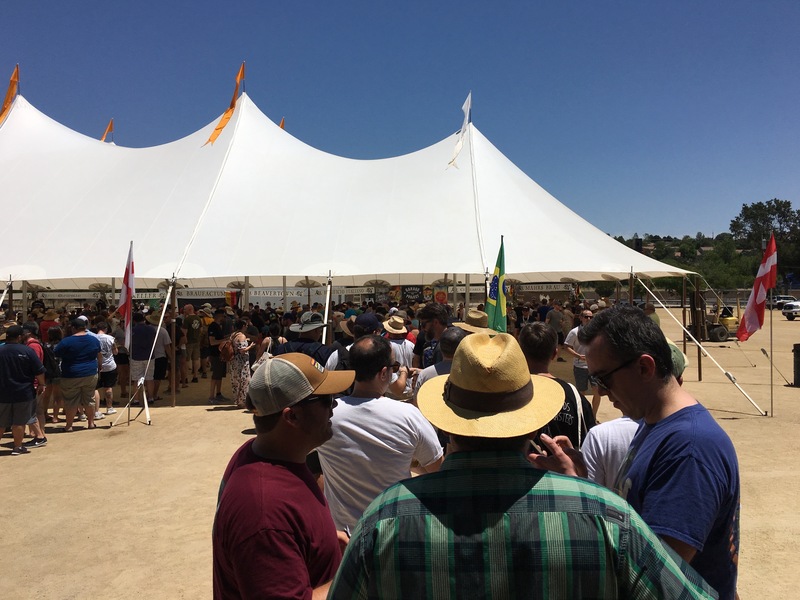 The Across The Pond aka International Tent was a hit once again at the 2017 Firestone Walker Invitational Beer Fest. 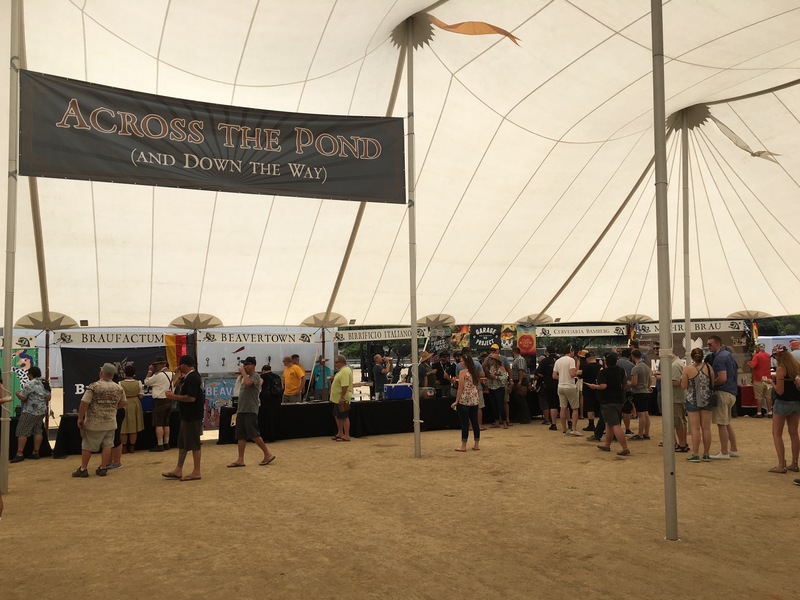 Across The Pond tent during the VIP hour at the 2017 Firestone Walker Invitational Beer Fest. Welcome to the 2017 Firestone Walker Invitational Beer Fest. 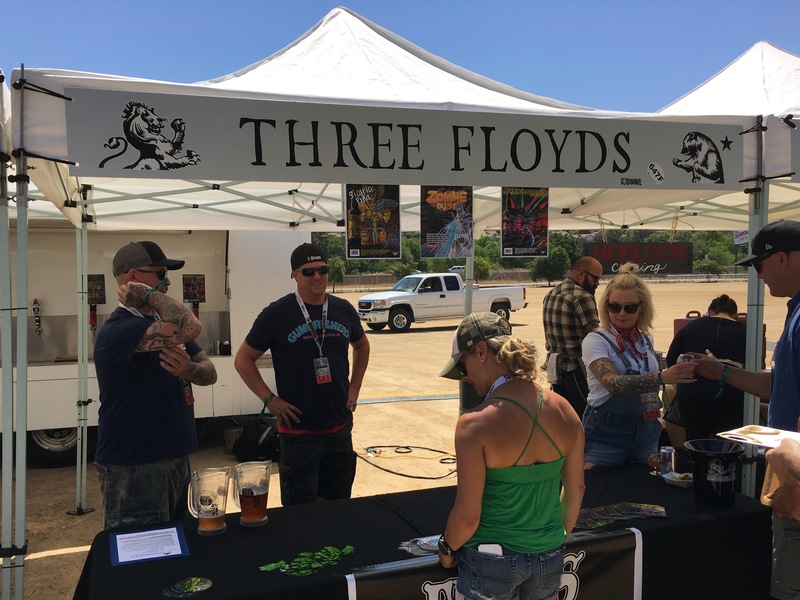 3 Floyds Brewing returned for the 6th consecutive year at the 2017 Firestone Walker Invitational Beer Fest. 3 Floyds Brewing LazerSnake Indiana Pale Ale, yes that’s Indiana at the 2017 Firestone Walker Invitational Beer Fest. 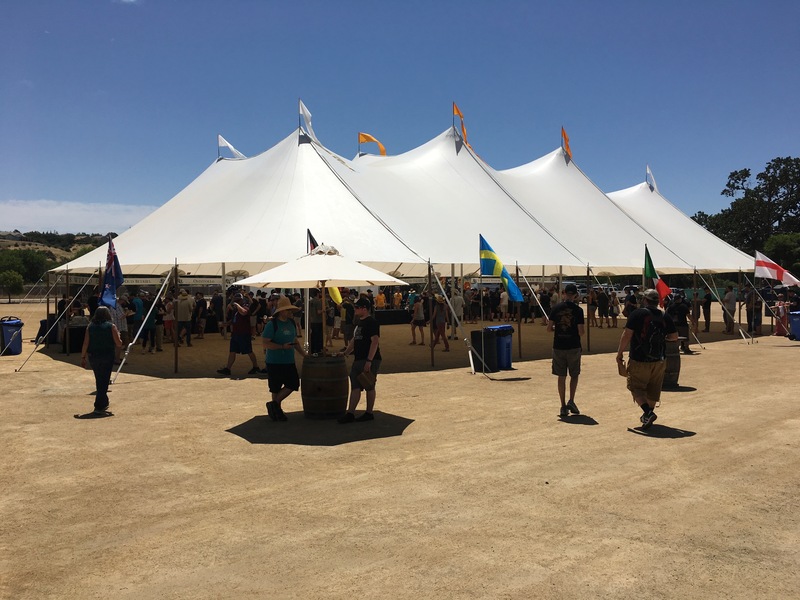 Brewery tents at the 2017 Firestone Walker Invitational Beer Fest. 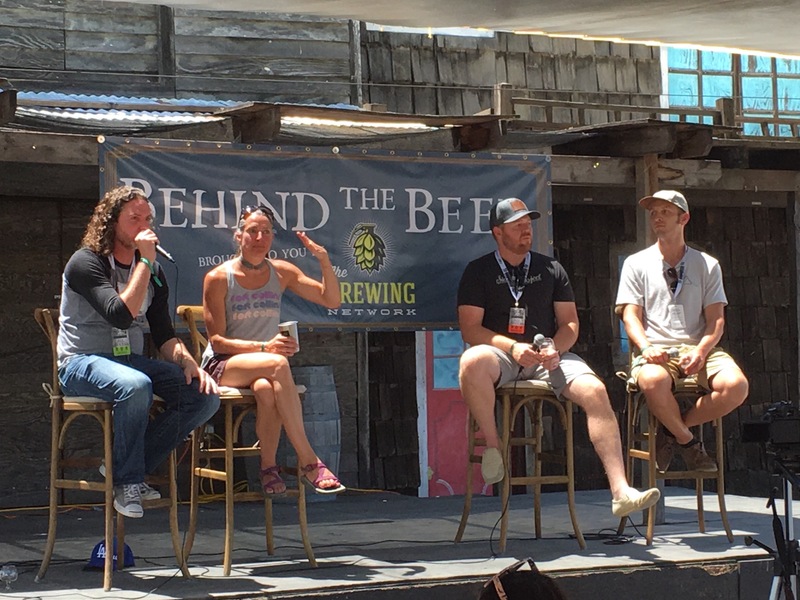 Behind the Beer panel at the 2017 Firestone Walker Invitational Beer Fest. 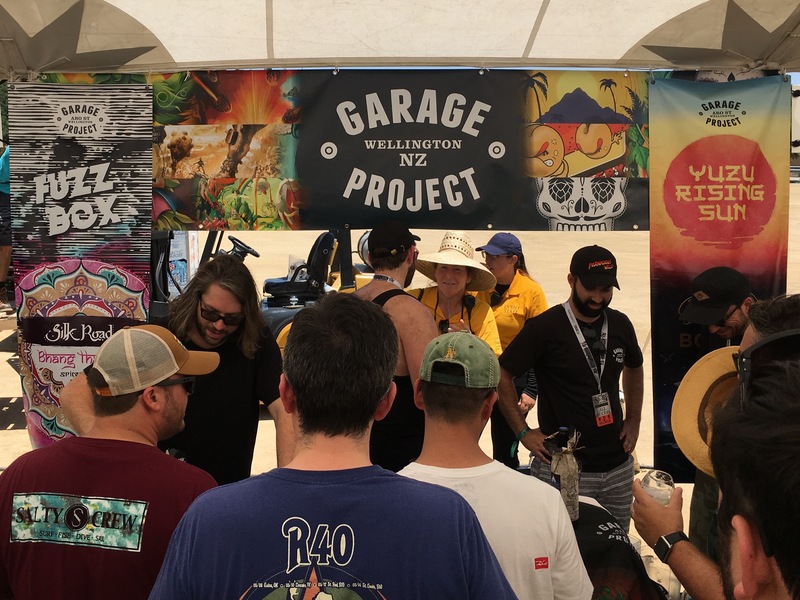 The line for Garage Project was one of the longest lines at the 2017 Firestone Walker Invitational Beer Fest. 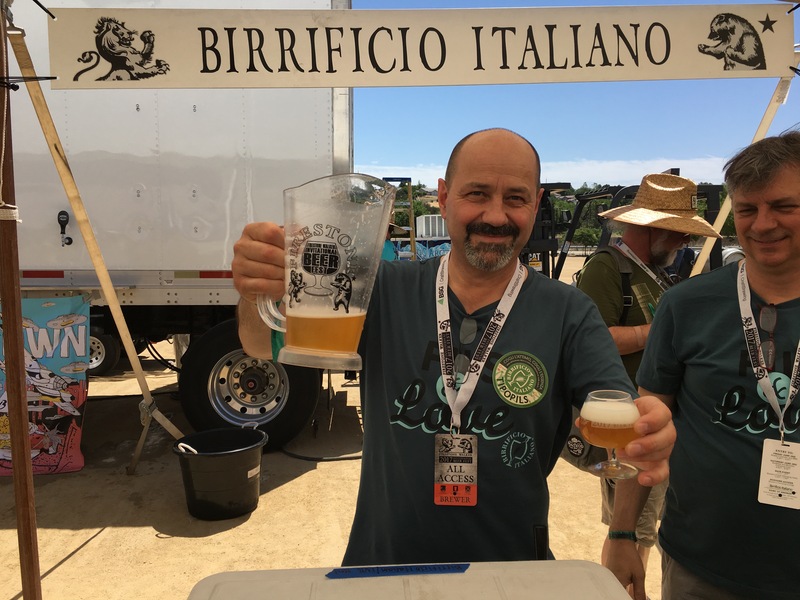 One of the highlights at each Firestone Walker Invitational Beer Fest is ordering a Tipopils from Birrificio Italiano. This is the beer that is the inspiration for Firestone Walker’s Pivo Pils. 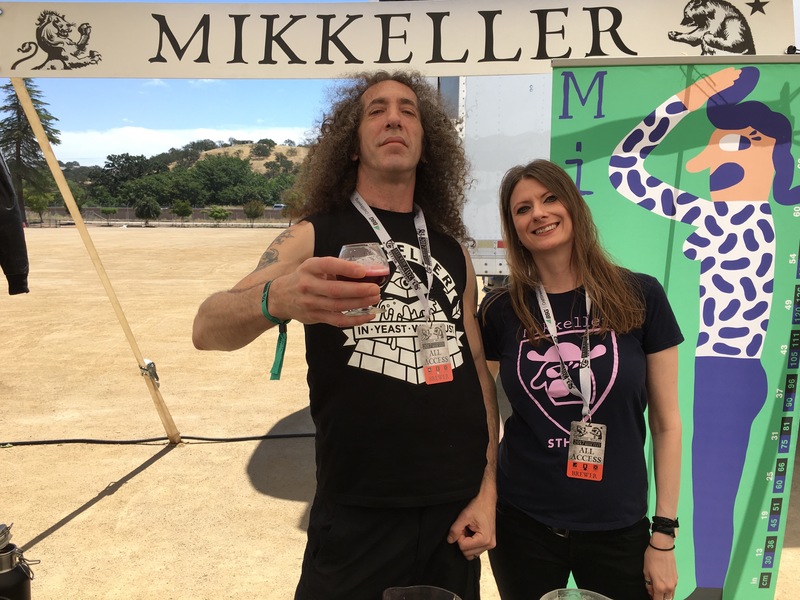 Mikkeller was proudly served at the 2017 Firestone Walker Invitational Beer Fest. Omnipollo and Dugges collaborate on this tasty Anagram Bourbon Barrel-Aged Blueberry Cheesecake Stout. 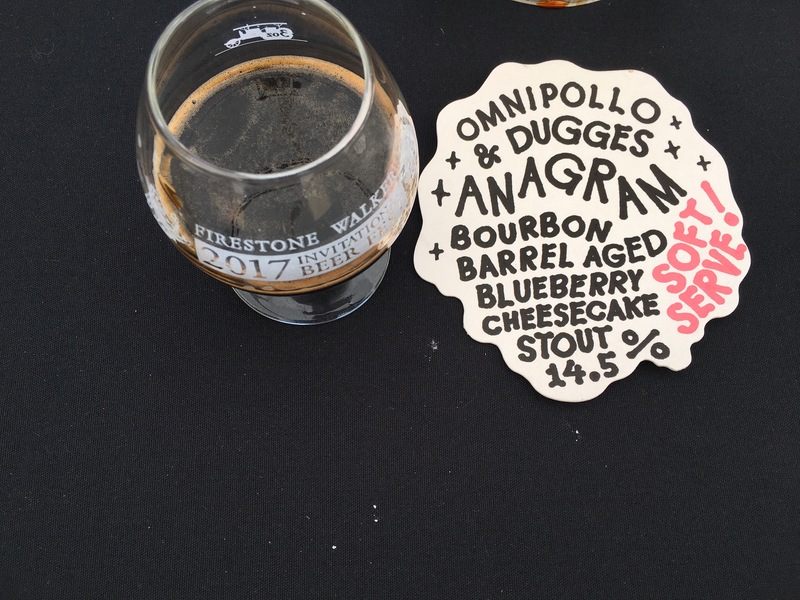 Even in the 90 degree heat of the 2017 Firestone Walker Invitational Beer Fest this beer was quite delicious! 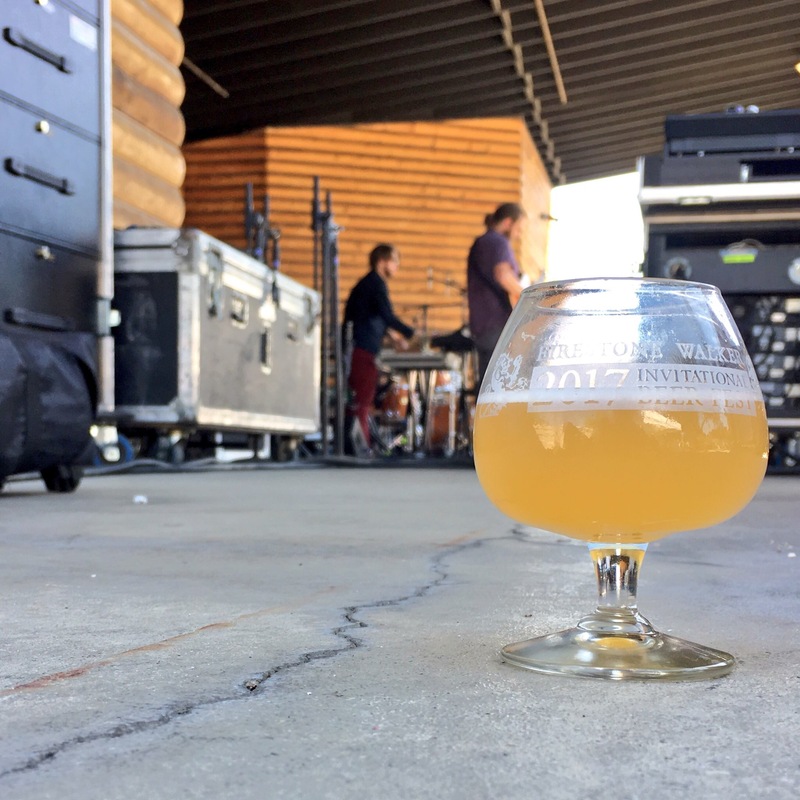 Garage Project captivated the festival attendees at the 2017 Firestone Walker Invitational Beer Fest. 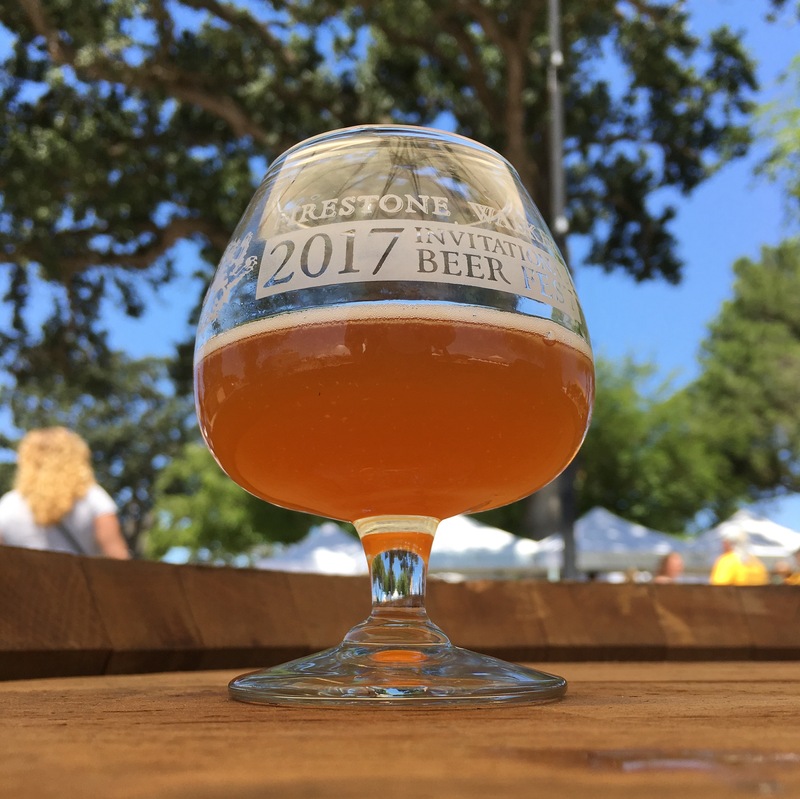 Garage Project poured a very beautiful and tasty Yuzu Rising Sun at 2017 Firestone Walker Invitational Beer Fest. 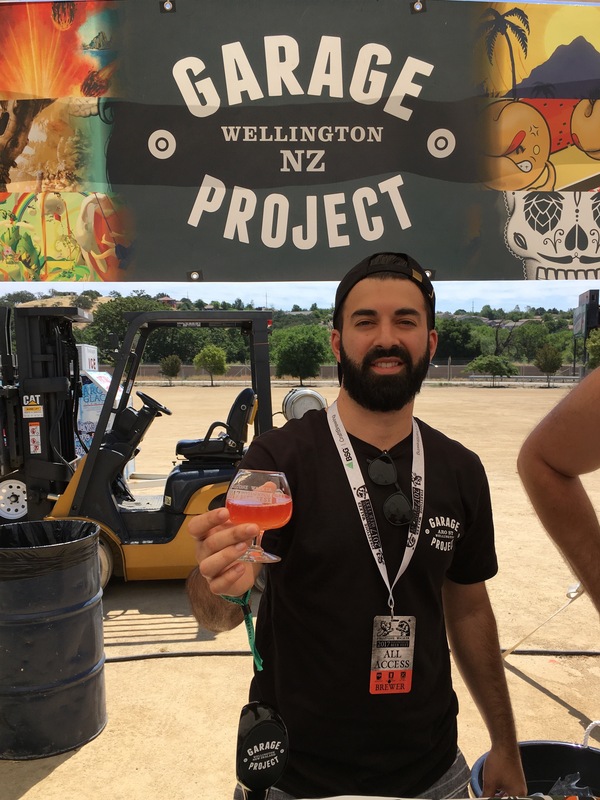 A close up of Garage Project’s Yuzu Rising Sun, a raspberry sour at the 2017 Firestone Walker Invitational Beer Fest. 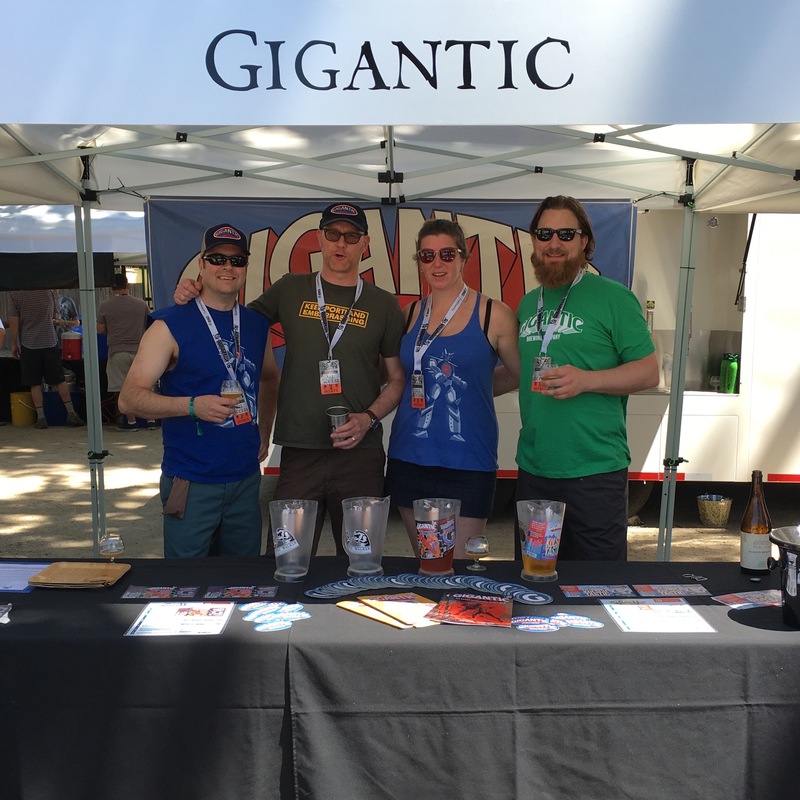 The crew from Gigantic Brewing were at the 2017 Firestone Walker Invitational Beer Fest for the very first year. Really love Van’s new shirt…Keep Portland Embarrassing. 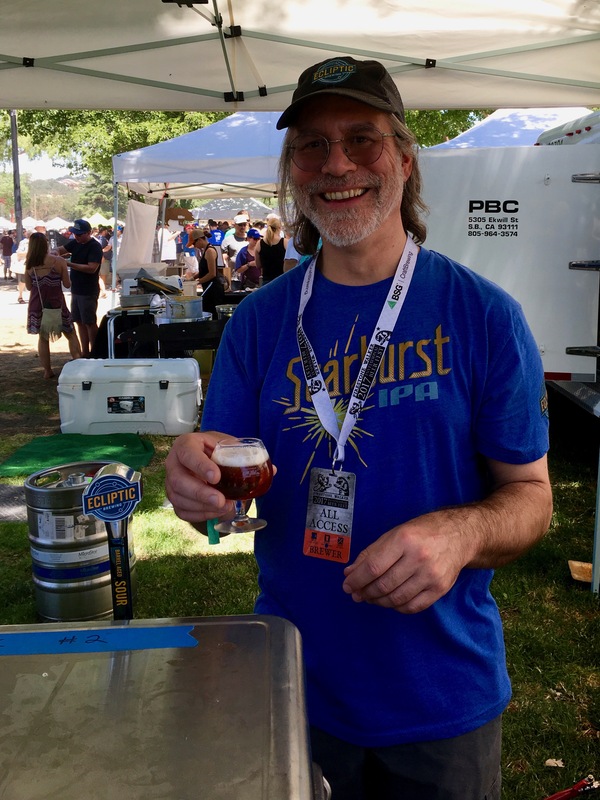 Phil Roche from Ecliptic Brewing pouring a Barrel-Aged Ultraviolet Blackberry Sour Ale at the 2017 Firestone Walker Invitational Beer Fest. 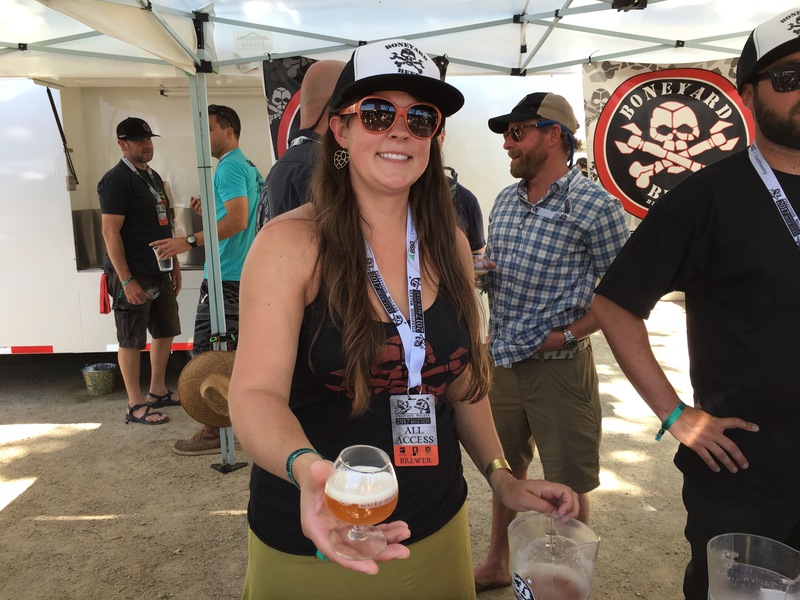 Dana Robles of Boneyard Beer pouring its new Gueuze Cruise at the 2017 Firestone Walker Invitational Beer Fest. Jim Cibak of Revolution Brewing pouring at the 2017 Firestone Walker Invitational Beer Fest for the 5th consecutive year. 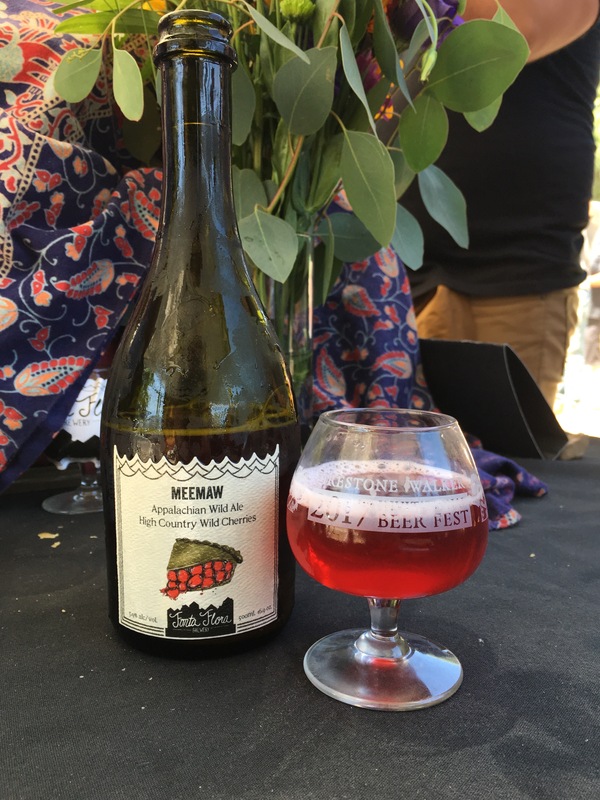 One of favorite beers at the 2017 Firestone Walker Invitational Beer Fest was from Fonta Flora with its Meemaw Appalachian Wild Ale with Montmorency and Balaton Cherries. 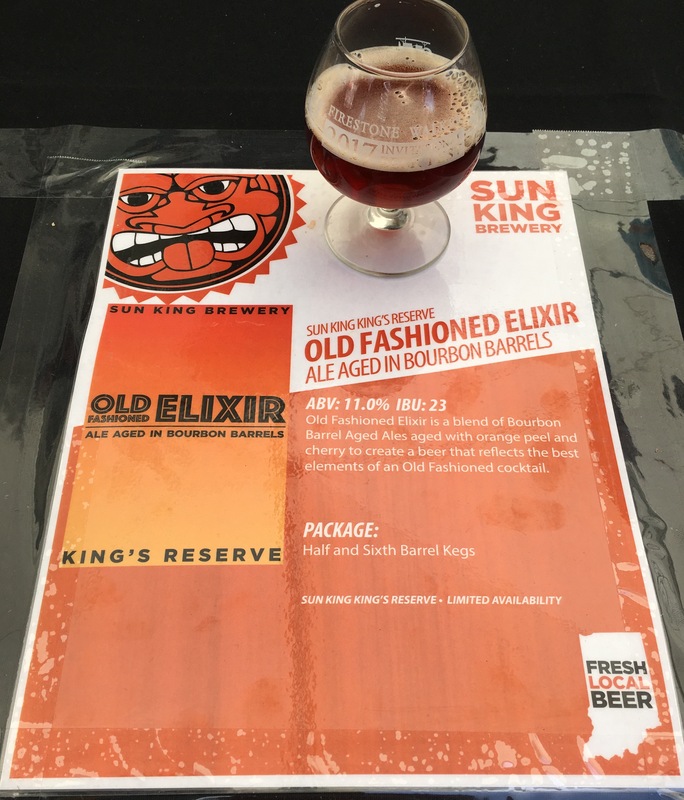 Sun King Brewery poured its Old Fashioned Elixir at the 2017 Firestone Walker Invitational Beer Fest. The Hubcap Stealers at the 2017 Firestone Walker Invitational Beer Fest. 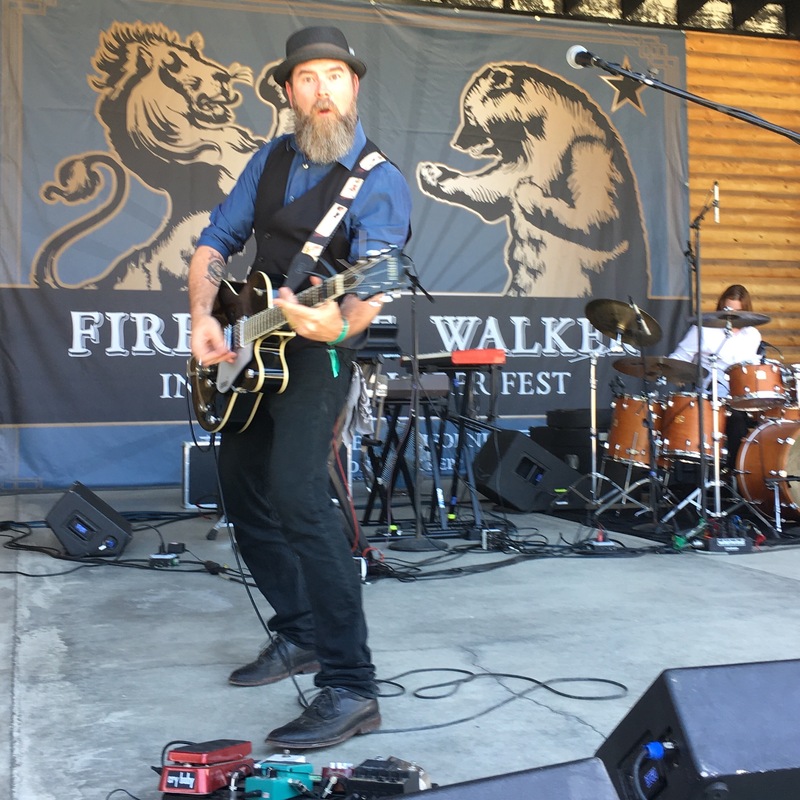 The Werks headline the 2017 Firestone Walker Invitational Beer Fest. Watching The Werks while at the 2017 Firestone Walker Invitational Beer Fest. 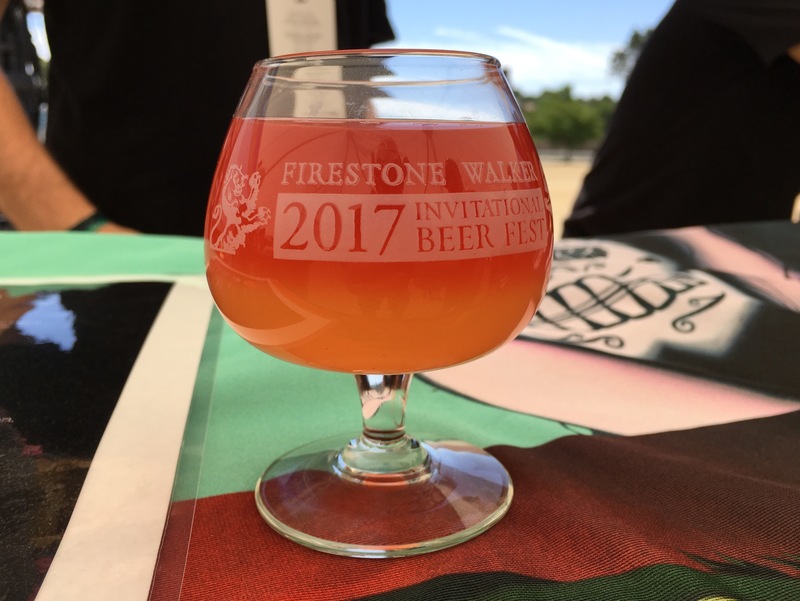 Firestone Walker Barrelworks Bretta Rose at the 2017 Firestone Walker Invitational Beer Fest. 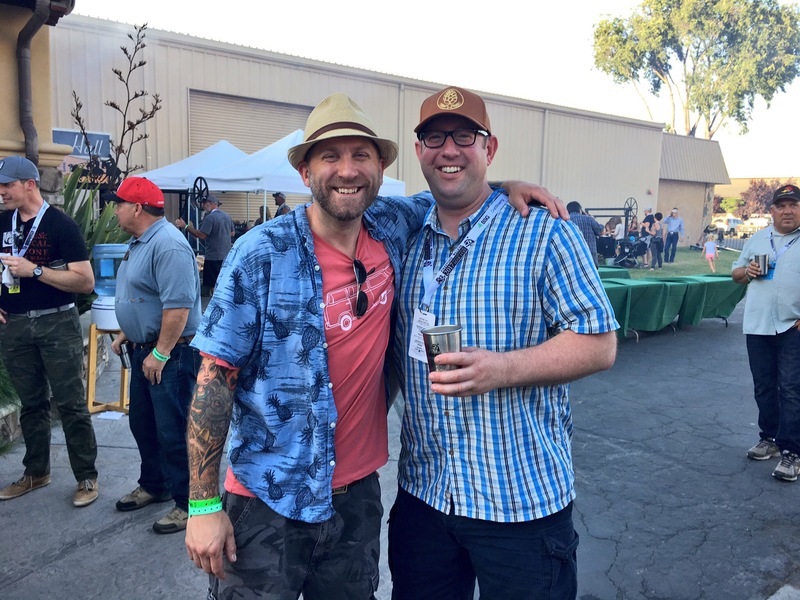 Firestone Walker Brewmaster Matt Brynildson during a photo op at the close of the 2017 Firestone Walker Invitational Beer Fest. 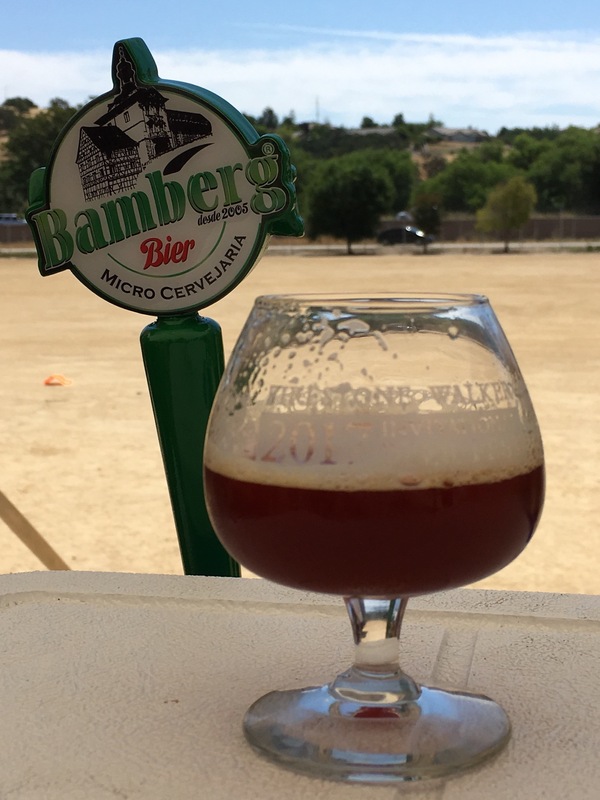 A pour of Cervejaria Bamberg Rauch Bier at the 2017 Firestone Walker Invitational Beer Fest. 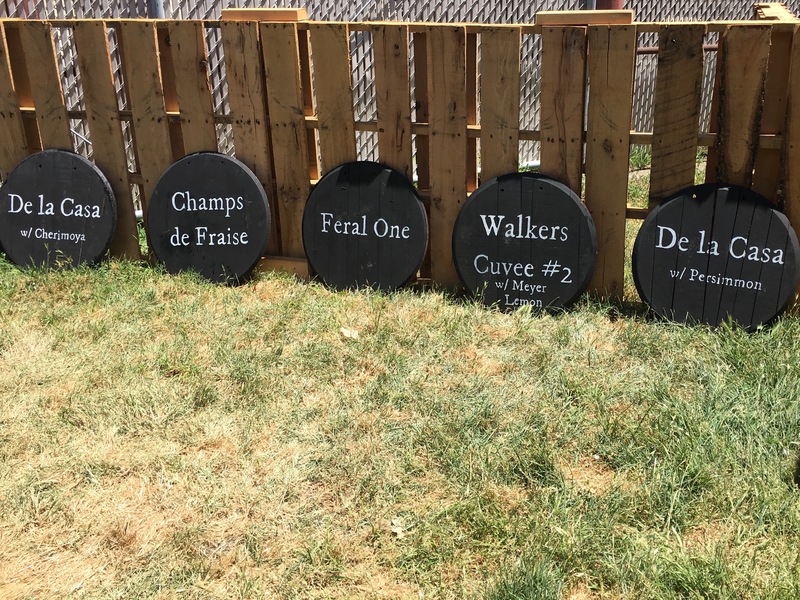 A partial line up of beers that were pouring from Barrelworks at the 2017 Firestone Walker Invitational Beer Fest. Gary Valentine a Chicago beerlebrity alongside Brewpublic’s D.J. 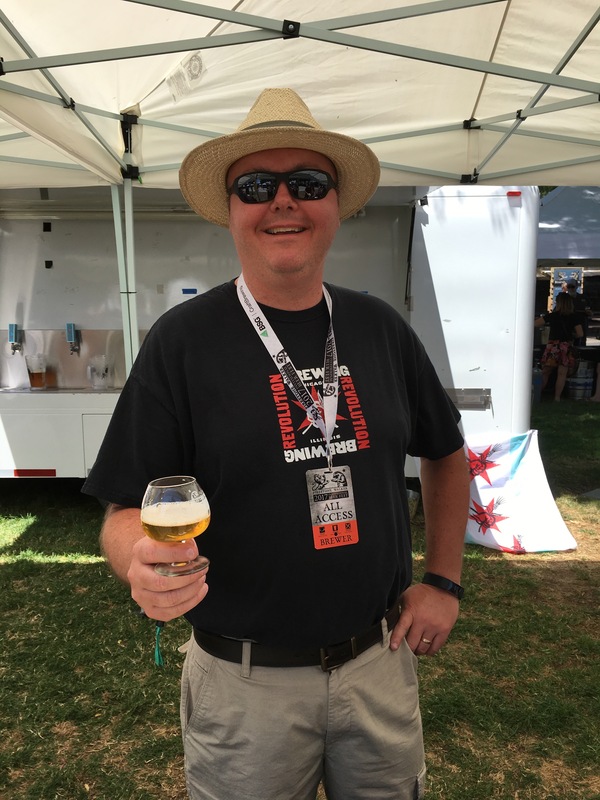 Paul at the 2017 Firestone Walker Invitational Beer Fest.